We are beyond thrilled to welcome the 43rd president of the United States George W. Bush to this podcast. Doro's dad is George H.W. Bush the 41st president of the United States, and her mom is former First Lady Barbara Bush. Doro is the only woman in our nation's history to live to see her father and her brother become president. Doro conducts this interview from the heart, and George W. Bush is absolutely forthcoming. [02:22] Doro is George's only and favorite sister. [02:55] President Bush maintains optimum health by staying away from alcohol and cigarettes. [03:22] He quit drinking around his 40th birthday he quit smoking before that. [03:34] His health improved a lot and he also exercises daily. [03:41] He does the elliptical, rides mountain bikes, goes to the gym, and plays a lot of golf. Being physically active has helped President Bush stay fit. He has even done some yoga. [04:17] President Bush used to run a lot until his knees gave out on him, then he switched to mountain biking. [04:40] He even ran the Houston Marathon right after President George H.W. Bush lost the second election. [05:56] President Bush likes desserts, and sometimes he's able to be disciplined and sometimes he can't resist the temptation. [06:10] President Bush stopped drinking when he realized that alcohol was competing for his affections. [06:43] He got into a routine where he would run to get the alcohol out of his system. Then he quit drinking cold turkey. [07:16] President Bush now enjoys taking naps and thinks that they are good for his health. [07:30] His favorite part of the day is the morning. He gets Laura a cup of coffee and then he reads the Bible or religious texts. [07:52] President Bush will pick a passage she likes from Sarah Young's Jesus calling and then text it to his daughters. [08:11] He also reads the One Year Bible every other year. He also does the jumble as a way to keep his mind sharp. [08:46] President Bush usually has cold cereal for breakfast and gets to the office by 7:15 when he is in Dallas. [09:46] A great day is a day that you see positive things and feel joyful during the day. [10:02] A good day for president Bush is when he expands his mind and spends time with friends. [10:46] Growing up in the Bush family was competitive and a constant swirl of activity. Having drive lends itself to being disciplined. [11:51] George and Doro had a musical family, but they weren't musical. [12:19] The question is what priorities do you have in life. It's essential to set priorities and not say you don't have the time to do important things like spend time with your kids or exercise. [13:49] Massages are also important for health. 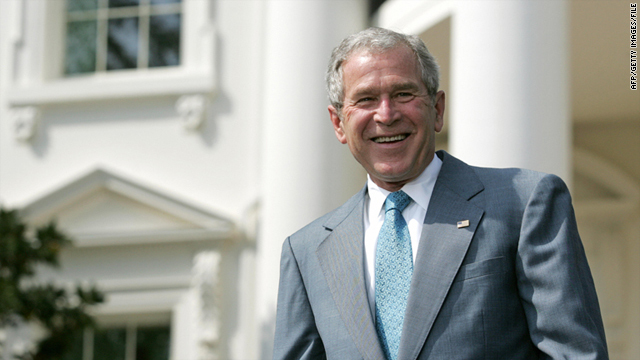 President Bush would get stiff sometimes while he was in the White House and needed the help of an osteopath. [15:06] Being around family helped him manage stress when he was in the White House. [15:21] Religion and being around people you trust also helps with stress. [15:46] You have to believe in what you are doing and that you are making the right decisions. [17:20] President Bush was fortunate to be a two-term president, and eight years was long enough. [17:54] Things that stick with President Bush are family Christmas at Camp David, throwing the pitch at the Yankees game, the Ground Zero bullhorn event, and September 11th is clear in his mind. [18:10] The second inauguration was also very meaningful. [18:45] President Bush loved being president. It was by far one of the most meaningful times in his life.